Risks in the built environment can have a direct impact on the reputation of hotel properties. Indoor air quality in particular can directly impact guest satisfaction. Managing these issues appropriately is an assurance of future occupancy and business success. At QED Environmental Services we work with hotel owners to ensure compliance and performance of guest-room, food/beverage and function-room areas. Consensus research shows pollutants in indoor air may occur more frequently and at higher concentrations than in outdoor air. It is clear that indoor air is the major source for guest-room exposure to airborne contaminants. 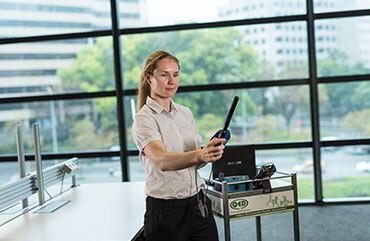 QED Environmental Services is one of Australia’s leading Indoor Air Quality consultancies, managing air quality in hotels nationally. The scope of our compliance programmes in hotels usually includes potable water testing because the plumbing systems in many hotels incorporate holding tanks or similar features which present a risk to be managed. To ensure the safety of guests, staff and contractors, regulations oblige all hotels to maintain current registers of stored chemicals and hazardous materials in their structure. QED schedules regular audit inspections and because we specialise in building compliance programmes, clients benefit from our tailored online service to keep their registers up to date. For 25 years QED has worked in the hotel industry for major chains across Australia including Crown Resorts, Hyatt and Accor.